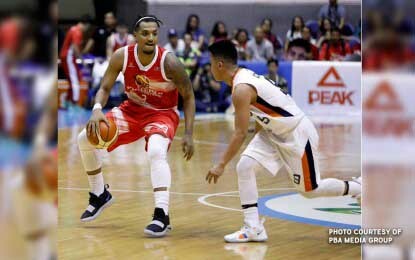 MANILA — Jason Perkins holds a comfortable lead over fellow La Salle alumnus, Jeron Teng, in the Philippine Basketball Association Rookie of the Year race. Based on the stats after the elimination round of the season-ending Governors’ Cup, the Phoenix stretch-four has 23.4 statistical points (SP) after 34 games. He is actually included in the Top 30 among all players, ranking 26th overall. Alaska’s spitfire winger, on the other hand, is second among rookies with 18.3 SPs after 35 games. NorthPort’s Joseph Gabayni (sixth with 9.8 SPs) and Columbian’s Dan Sara (seventh with 6.4) are the other eligible players for the top freshman plum.